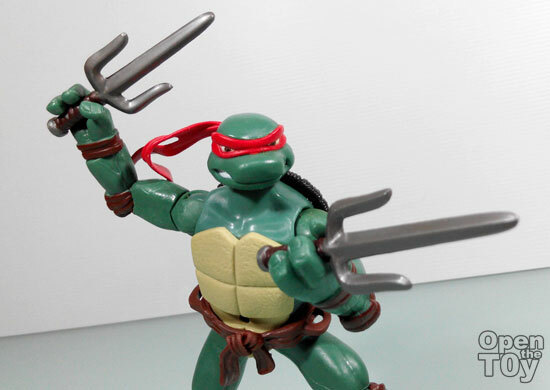 Here is my second TMNT from the 2007 movie review, Raphael. 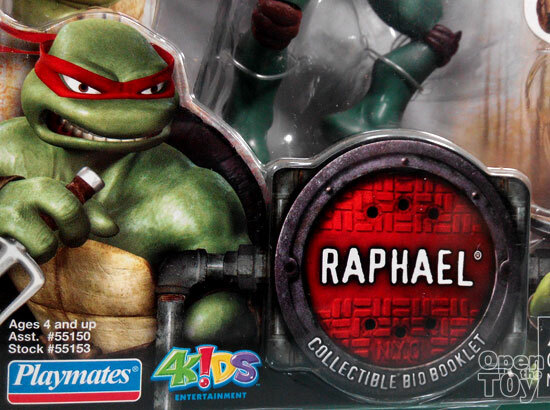 Raphael is one of the character that in movie, comics or even cartoon that has consistency. He is never or the least of a the team player and with an attitude problem. For this movie, he is given the most tan in skin tone. More of his bio is on the card. Read it for yourself. 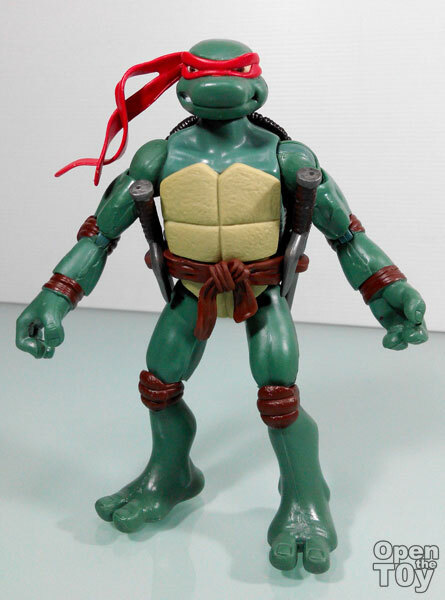 Out of box, Raphael is in good shape. Not too big in size (like the latest movie) but with a good lean proportion. Remember they are Ninja and agility is everything. 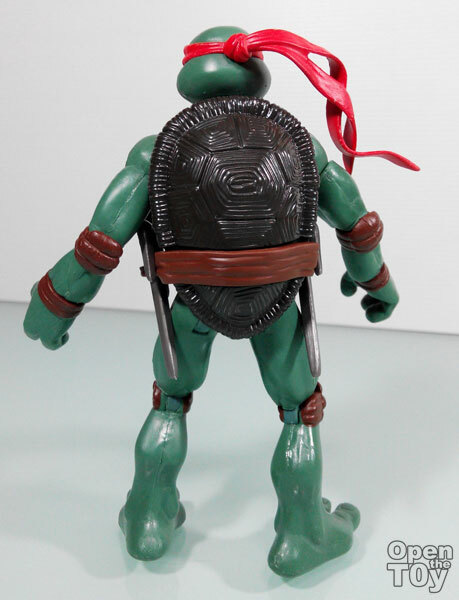 The back shell has the same size and shape like Leonardo. 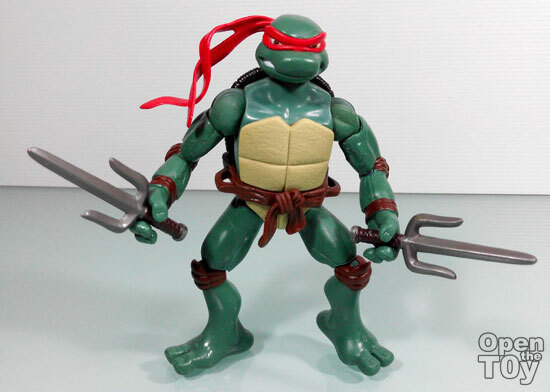 One thing I love about this figure was the good place where his both Sai weapons are on his side and not back like most of the TMNT series. 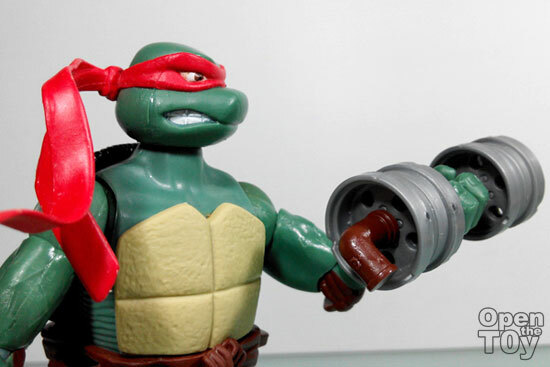 It may seem the Sai however is too big as it is suppose to be but this is a children toy and it look safe and good to hold on the standard of Raphael and kids. The figure offer decent pose of the Sai. Remember the Sai is more like a short range melee weapon that is more on piecing rather than cutting. Sai is one good weapon to counter the longer range sword. 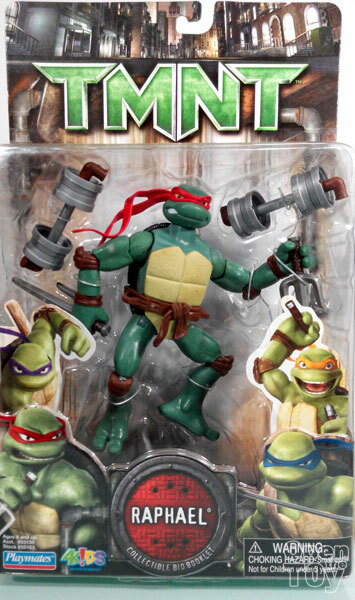 If he is skill enough, he can take down swordman like Leonardo which he did in the movie. What comes with the accessories are amazing. 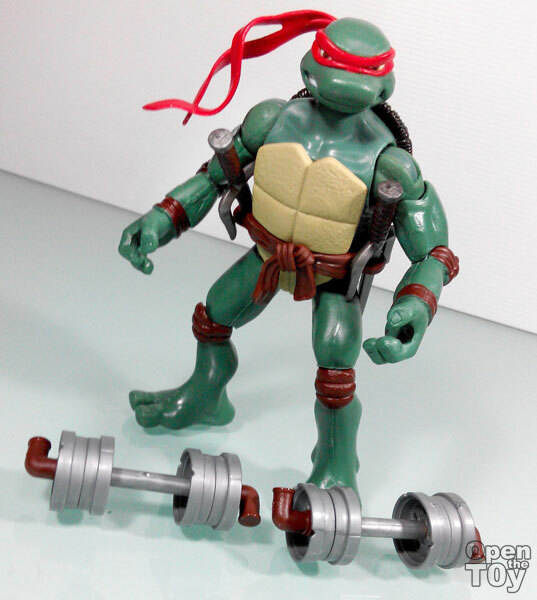 For Raphael it was some weight lifting dumbbells. 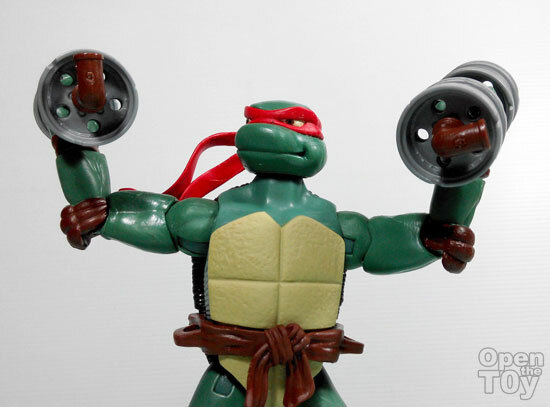 This certainly suitable to the Raphael that I know for having lot of anger and energy which the best way to let it off is to work out. 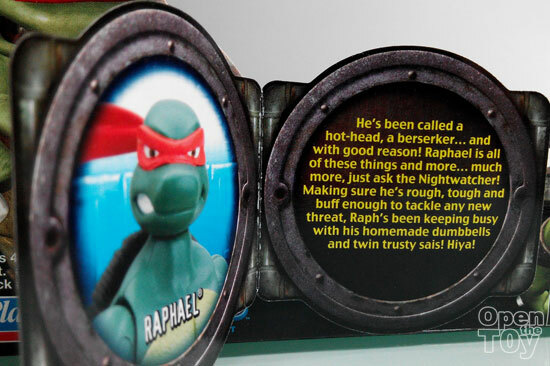 To Raphael being Strong is never enough. He want to be stronger! You got to hand him the pie has he had the determination in term of physical discipline but for mental and emotion discipline he is way lacking. Within all his hard muscle, he is more of a uncertain and hurting person inside. Once he can balance both emotion and physical challenges, he would be a mighty strong Ninja that anyone would have to think twice to challenge him. 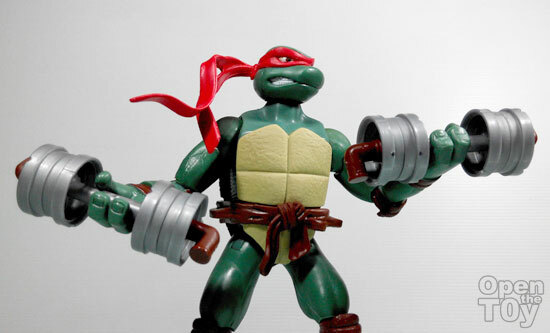 Regardless of his attitude issue, many fans love Raphael as they can relate to him and why he had to behave the way he did just to act tough. Look around you, there maybe more Raphael like person around you which maybe unpleasant and often misunderstood. But with good acceptance and understanding, they can be release to their great protential. Often this people has a good heart but cannot have a proper way of expression due to their history. 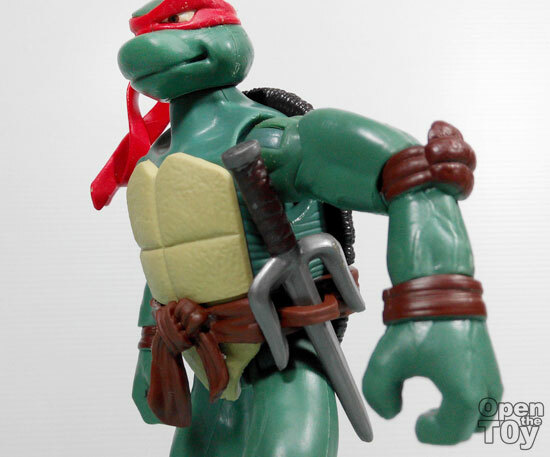 Raphael in the new movie certainly play a big role in the coming movie thru the trailer. A path he has to come to terms before he can save his brothers from The Shredder! 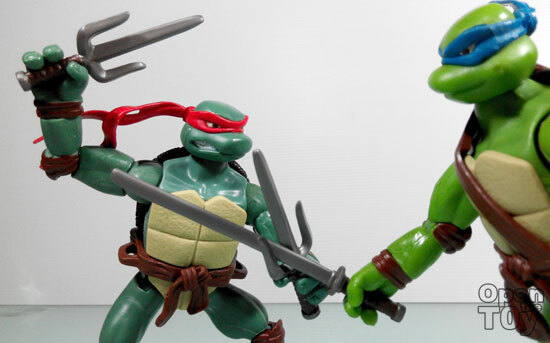 See other in this series review for Donatello , Michael Angelo and Leonardo .